APIA – The tax dispute between the Samoan state and the Samoan church is continuing, with the government now threatening to confiscate minister’s assets. The Prime Minister of Samoa Tuilaepa Sailele Malielegaoi has said that the government is not ruling out the potential confiscation of assets from church ministers, if they do not comply with the new tax rules regarding incomes from donations made by church-goers. Earlier this year the government of Samoa announced that it will consider payments made to church ministers to be income, and, as such, to be liable for income taxes. 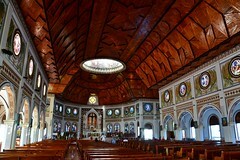 Samoa’s largest church contested that the payments are donations, and therefore should not be taxed, and added further that paying tax on the income is an insult to the faith. The Church is maintaining that its ministers will not be paying the tax, despite the government’s ongoing insistence of the opposite. The Prime Minister has now stated that the regulations regarding taxation allow the state to seize the assets and bank accounts of individuals who do not comply with their tax obligations. The Prime Minister finished by saying that the ministers who refuse to pay taxes should practice what they preach.